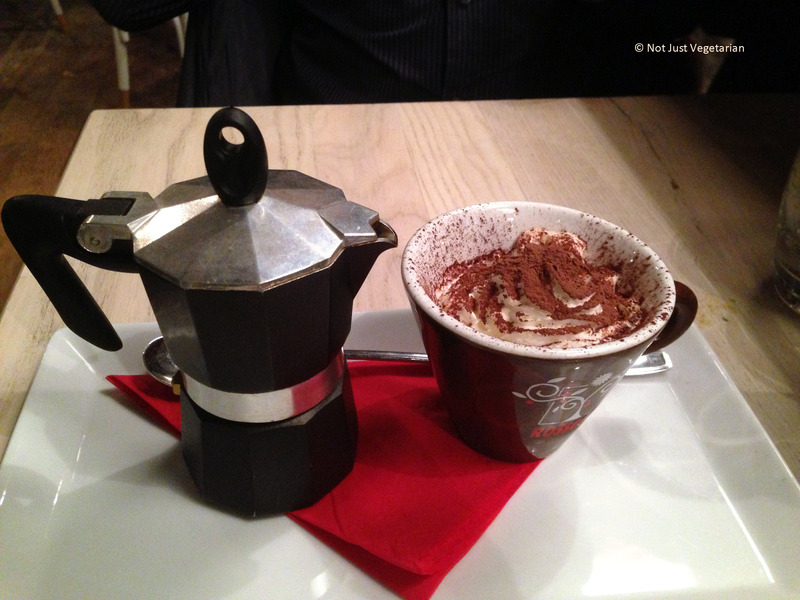 Rossopomodoro is a worldwide chain serving fresh, authentic, and delicious Neapolitan (Southern Italian) food. 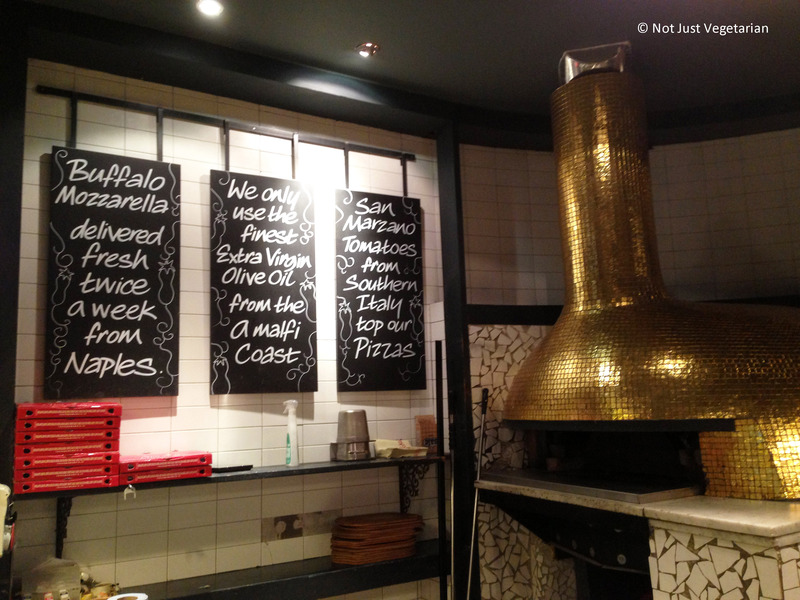 This post is a from a couple of visits to their location on Fulham Road, in Chelsea, London. Rossopomodoro imports flour, (San Marzano) tomatoes, mozarella and other ingredients from Italy (not necessarily environmentally friendly!). 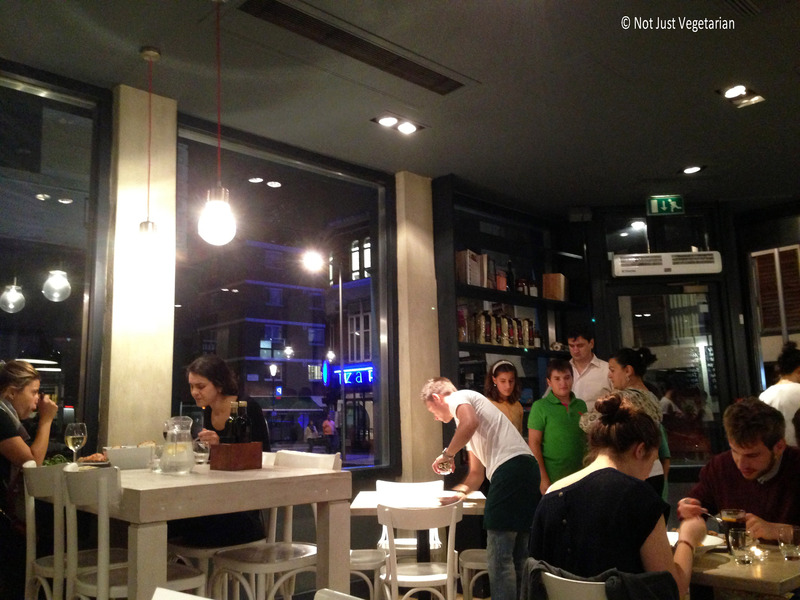 Rossopomodoro is great not just for some delicious Neapolitan food, but also for the informal, relaxed atmosphere (warning – it can get quite noisy on a Saturday evening). Rossopomodoro screens modern Italian movies on Monday nights at some / all of their locations. 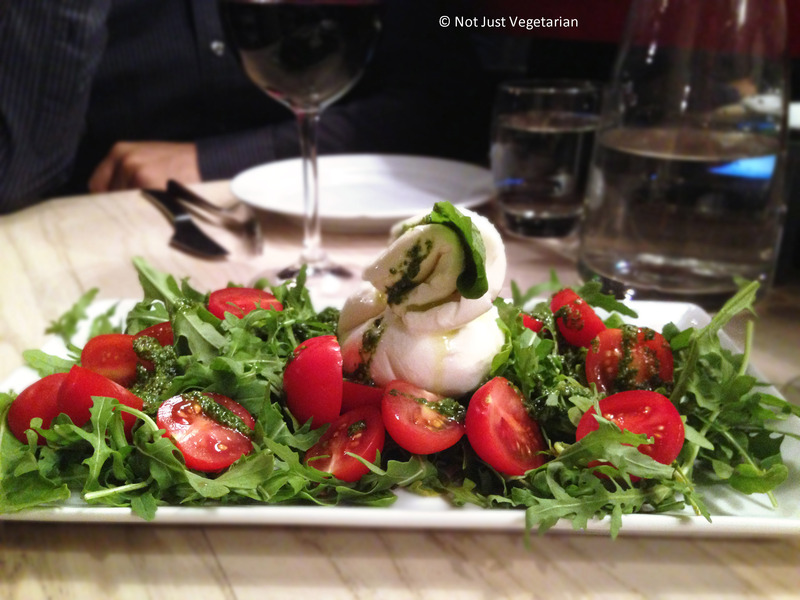 The best dish at Rossopomodoro is the burratina – burrata in mozarella. This was extremely fresh and creamy just as it should be. Some salt flakes on top would have taken this dish to the next level, but I loved it just the way it was served. 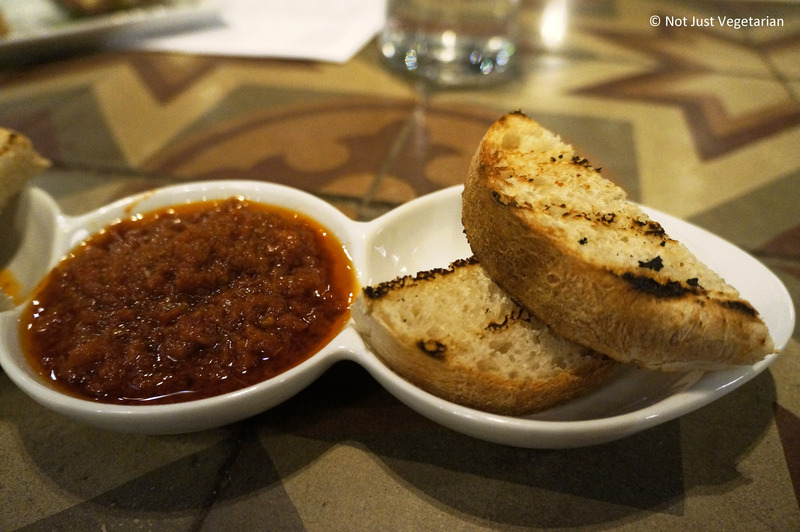 The crostoncini – grilled bread with a dip of tart-sweet sundried tomatoes, olives and briny capers was delicious! I would get this again! The prosciuttina was not the same as the others in terms of taste and texture. 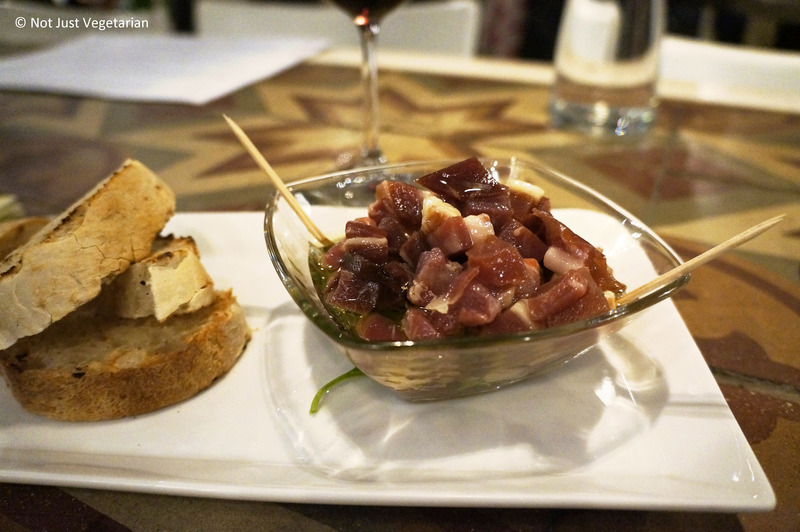 The ham was chewy, somewhat smelly (for my preference) and the chili was extremely subtle. The cacciatora was excellent! The chicken was well cooked -not dry as it is usually in some pizzas and pastas. 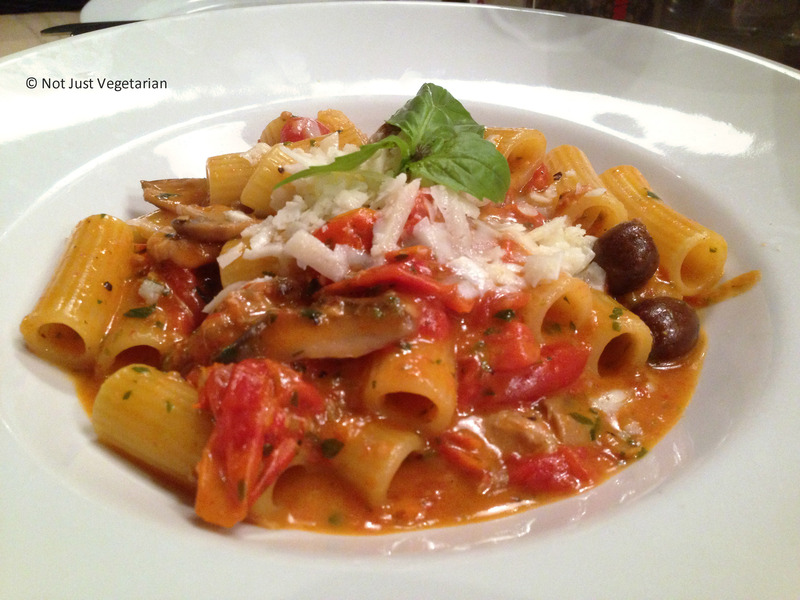 The rigatoni was cooked perfectly, and the cherry tomato sauce was excellent! 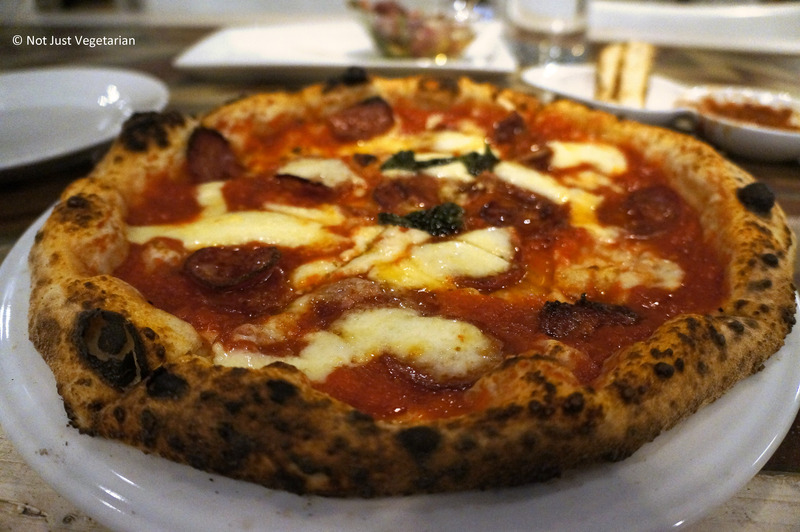 The Massese pizza was very authentic Neapolitan – nicely charred and blistery / puffy around the edges, thin crust and soft / floppy towards the center. I would get this again just for the San Marzano tomato sauce and the spicy Neapolitan salami. This pizza was quite different from NY style the pizza we had at Goat (just across the street on Fulham Road). Desserts are excellent to say the least! We enjoyed all of them :). 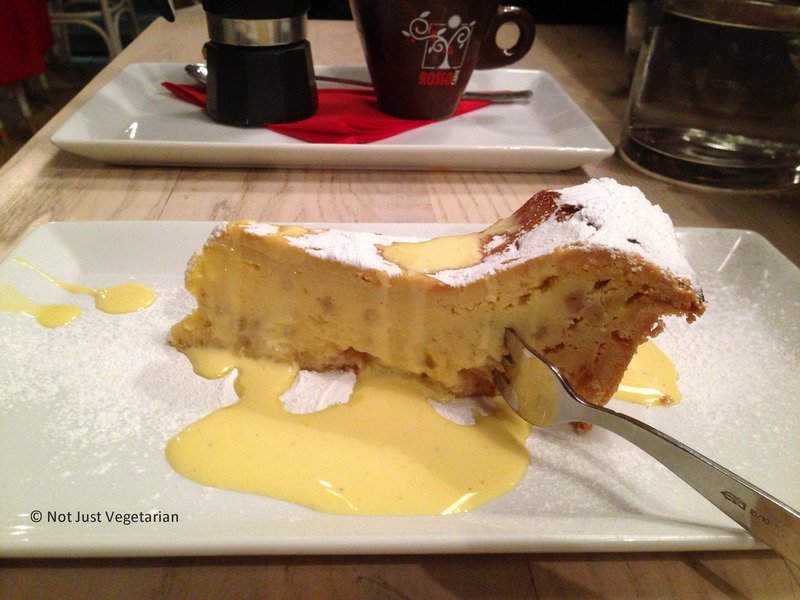 I loved the pastiera – felt custard like, but very soft and just slightly sweet. 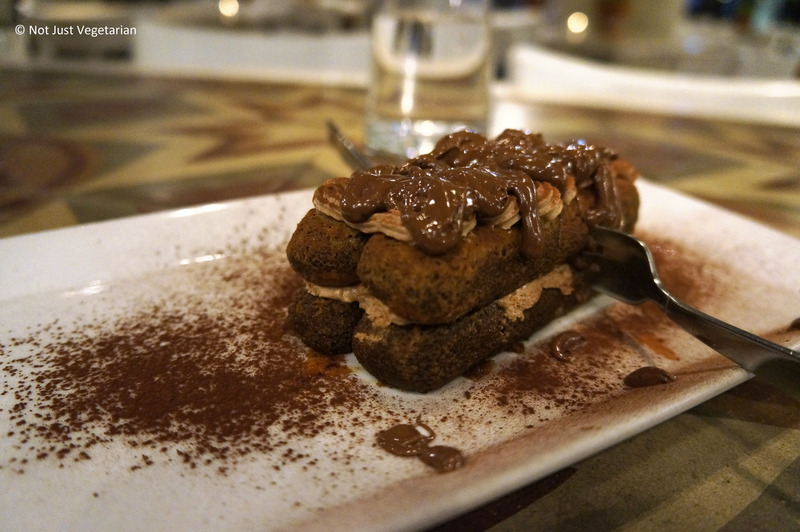 The tiramisu with a twist of warm nutella was simply divine!